Have you mapped out your customer journey communications? 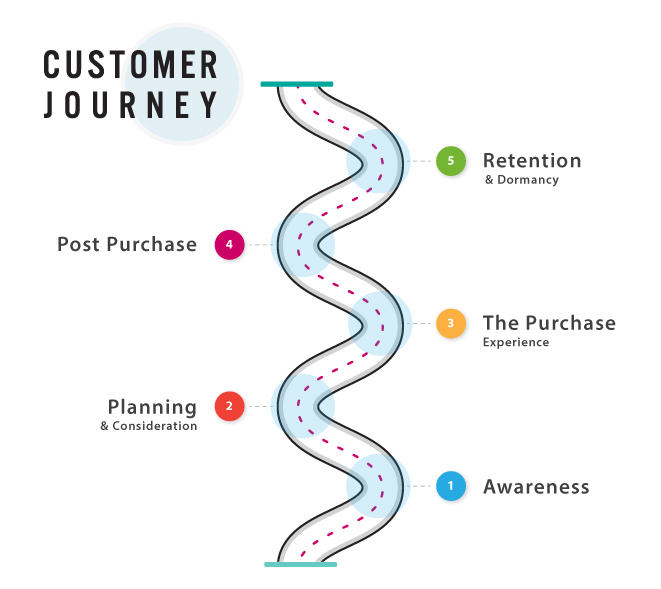 A well thought-out customer journey can maximise results at each stage of the journey and generate huge increases in sales and profits by delivering more engaging, personalised communications. Not only do your customers benefit from having more relevant and timely information, but you increase revenue by targeting increase the right cross-sell and up-sell messages, getting the right message to the right person at the right time. With an ever increasing number of touchpoints and real-time interactions it is more important than ever to ‘join everything up’ into a holistic and consistent view of the customer journey. In this series of five articles, we look at the key stages of a customer Journey programme and how you can use technology, combined with your knowledge of your customers to drive real value at every stage. This month, we look at the purchase experience. Once you’ve attracted prospects with a strong product and a smooth engaging customer enquiry experience, you’ll start converting those prospects into sales. But that’s far from being the end of the customer journey. In fact, it’s barely started. At this stage of the customer journey, you need to reassure the customer that they’ve made the right decision and of course deliver their purchase or experience. Plus, it’s an opportunity to sell add-ons or extras. Review your check-out process to make sure it’s as frictionless and easy as possible. If you’re seeing customers dropping out during the check-out process, find out when and why. Are you asking for too much information? Or are you hiding delivery costs until the last minute? Are payment methods clear? Is there an immediate means to contact you if they have last minute doubts – phone or online chat? You’ve done the hard work in getting customers to the check-out – make sure you’re not making it hard for them to buy. No matter what the purchase, customers want to know that they’ve made the right decision in buying from you. Make them feel good about their purchase, take away any concerns they have and look forward to doing further business with them. It makes sense that all customer journey communications should be automatically triggered for efficiency, but for maximum ROI don’t send a one-size-fits-all message. Use the data you have about the customer – and just as importantly, what you know about similar customers – to tailor the message to each individual. Personalisation can increase engagement by up to 30% – in some cases, even more. 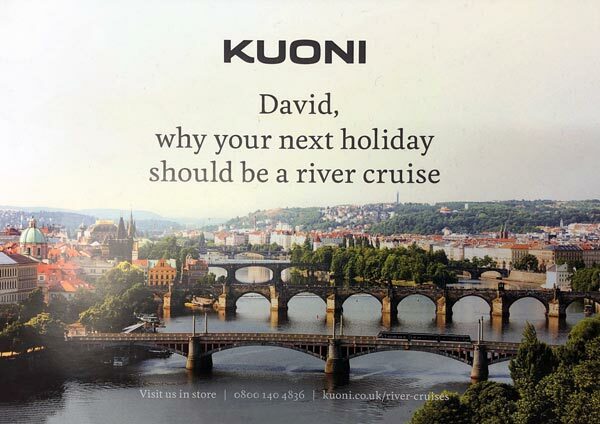 For example, we’ve worked with Kuoni, the leading travel operator, in personalising their brochures, based on their knowledge of their customers and their preferences, resulting in strong uplifts in performance. A customer’s first purchase opens the door to further sales. In the travel industry, for example, you have a great opportunity to sell relevant products, appropriate to the main purchase. Seat upgrades, excursions, meals, all can be sold to the right customer at the right time. You can do this by manually when sending out your post-purchase communications, but to maximise your sales, you should be using real-time marketing. Real-time allows you automate relevant messages to each customer at the right time, delivered through the most appropriate channel. It can personalise your website, trigger emails, or generate a call from an agent. We worked with Virgin Atlantic to create a personalised experience for their customers using their website. The results were an 11% increase in sales of extras – with some increasing by as much as 30%. Watch our short video here to see the impact that real-time could have on your business. Customer satisfaction and testimonials are key in today’s connected world. Strong customer ratings will help you sell, providing reassurance to prospects over their buying decision. However, it’s also an important part of ensuring that an individual gains maximum pleasure or benefit from their purchase. The Welcome process is part of this, as is a later follow-up to check they are still happy. But it’s important to get the timing right. There is little more irritating than getting an email as soon as you’ve received your order, asking you to rate it or the company. Give your customer a chance to get it out of the box, use or experience it, before you ask them to evaluate it. Customer satisfaction is closely linked with another activity – asking your customers to recommend you to others. Again, timing is critical here. Too early, and they won’t yet know how they feel about their purchase. Too late, and they might have forgotten. It’s also important to track these sales. You might think of recommend-a-friend as a low cost channel, but if you’re incentivising the recommendation, you need to make sure you’re getting your money’s worth. Use discount codes, or trackable links to see who’s buying through this channel. Through your Single Customer View, you’ll also see whether these sales were from people who were already browsing your site – and whether you might have given away margin unnecessarily. Your SCV can also help prevent abuse of an offer by the same customer making repeat purchases by posing as a first time buyer. A well-managed first purchase will generate repeat business. Customers will come back to you if it was a smooth, satisfying purchase – and they feel recognised and rewarded. Next month: STEP 4: The post-purchase experience.